In the late '70s, Formula Atlantic was the best way for North American drivers to make the jump to Formula 1. Gilles Villeneuve and Keke Rosberg were two drivers who had succeeded in making the move to the World Championship. 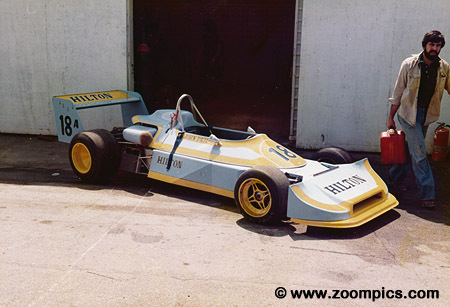 The 1979 North American Formula Atlantic season consisted of ten events starting at Long Beach in early April and ending at Montreal as a support race for the Canadian Grand Prix. Mosport was the seventh round on a weekend that included the Trans Am series. Leading up to the Mosport event the championship had five different winners in the first six rounds. The season opener was won by Tom Gloy, Howdy Holmes was victorious at the second round in Mexico, the next two events - Westwood and Quebec City were won by Kevin Cogan, next to take an event was Jeff Wood at Halifax and the Bob Earl was victorious at Road America. 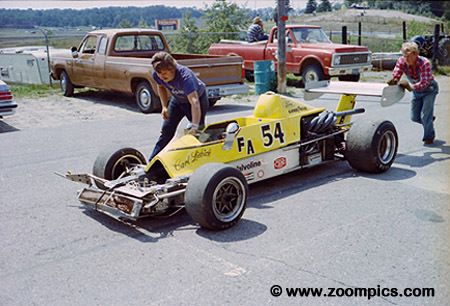 With his win at the previous round at Road America Bob Earl entered Mosport third in the championship standings. 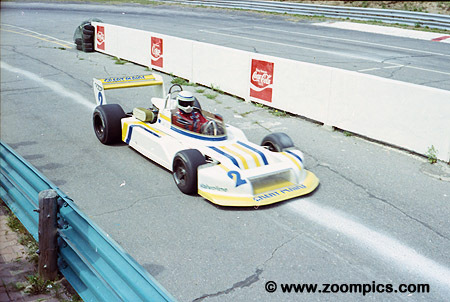 Despite the fact that this was Earl's first visit to Mosport he put his Ralt RT-1 on the pole. He finished third in the race behind Kevin Cogan and Jeff Wood. Earl would drop from third to fifth in the standings due to a poor finish at Trois Rivieres. 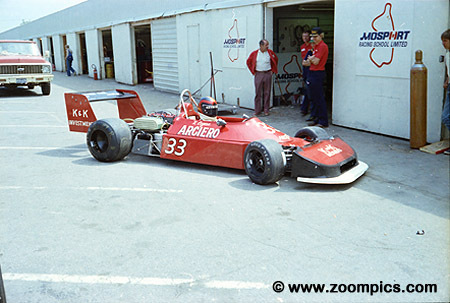 The Ralt RT-1 and March 79B were the popular car choice in the championship. The lone Lola T-560 was driven by Carl Liebich. Although not considered one of Lola's success stories the car was fast in the hands of Liebich. At Mosport, he started tenth and finished eighth. At his home track, Road America, he finished fifth - his best of the 1979 season. 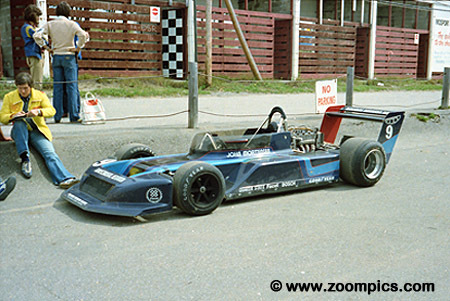 This Doug Shierson Racing March 79B was driven by John Mortensen. At Mosport, Mortensen finished fifth after qualifying ninth. 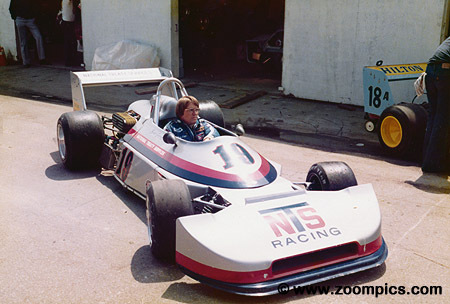 He had a number of top-ten finishes during the 1979 season and placed ninth in the championship standings. 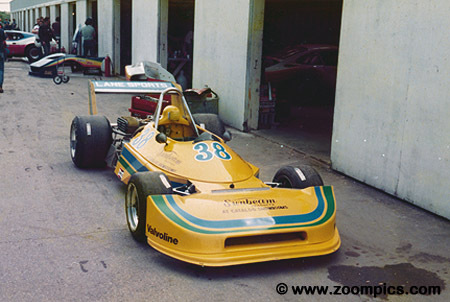 John Paul Jr. qualified this Ralt RT-1 twentieth and finished thirteenth 1-lap behind the leaders. His father had a more successful this weekend - he won the Trans Am race. Entering the Mosport round Kevin Cogan held second place in the standings. At Mosport, he would score his third and last win of the 1979 season. Cogan would try Formula 1 in 1980 and 81 without any success. He moved on to the CART Championship Car series where he made 118-starts and scored his only victory at Phoenix in 1986. Tom Gloy won the 1979 North American Formula Atlantic Championship driving a Ralt RT-1. He started the season with his only win of 1979 at Long Beach. Gloy maintained his points lead with consistency only finishing out of the top five once and scored points in every event. He also competed in the 1980 and 84 CART series. But he is probably best known for his success in the Trans Am series. 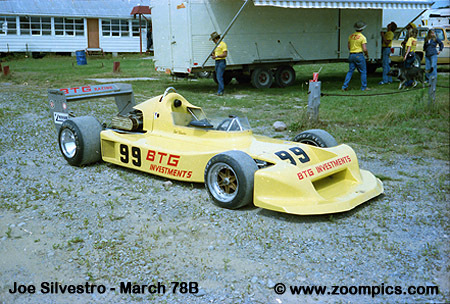 Jeff Wood along with Howdy Holmes were the top competitors driving the March 79B. At Mosport Wood qualified third and finished second. He scored two wins during the 1979 season and finished third in the final standings. Holmes won three times in the March and was fourth in the championship.